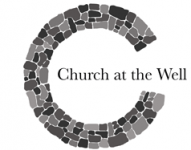 Church at the Well is a non-denominational church in Burlington, VT. Our mission statement is to “Reintroduce Jesus in Vermont”. In John 4 Jesus engages with a Samaritan woman at a well. She is introduced to a Jesus who crosses barriers to communicate God’s love for her, to challenge her, and to offer her living water. She is then compelled to introduce her entire village to Jesus, the Messiah. We strive to continually be reintroduced to Jesus and then reintroduce our communities to Jesus. Everything we do at The Well funnels through our Church vision statement: Re-introducing Jesus In Vermont. We’ve chosen four primary ways to Re-Introduce Jesus, and each one is a reflection of our community, representing who we are. Of course, they are aspirational in nature, so we don’t always succeed at expressing them fully. Still, they are the heartbeat of our community– these are what we’re all about. Re-Introducing Jesus Through WORSHIP – We believe that worship is so much more than a time on Sunday morning. Worship is something we do with our whole lives! We hope that our worship not only makes sense to those around us, but is also inviting and compelling. As a church, we aim for our worship to naturally reflect our culture. If Church At The Well feels like Vermont, that’s a good thing. Re-Introducing Jesus Through SERVICE – We believe that a healthy church is one that is always serving and reaching out. As soon as we become focused on ourselves and our own needs, we begin losing our vitality. While we do provide various serving opportunities, more importantly, we aspire to nourish a culture of serving. Jesus came to earth as a servant, and we believe Church should not be a place where we merely consume but instead, a community where we actively contribute. Re-Introducing Jesus Through COMMUNITY – We believe that church is a family, so we encourage an environment of care and connection. The local Church should be a place where we are supported, embraced, encouraged, and challenged to become everything God intended us to be. We also believe that a healthy church community should be dynamic and not static. A healthy organism is always experiencing new life, growth, and change. Re-Introducing Jesus Through CREATIVITY – As a church, we strive to cultivate an ethos of creativity. While it’s true that not everyone is artistic, we do believe that everyone is creative! The God we worship is a Creator, and we are made in His image, so we take creativity seriously here at The Well. We also have the privilege not only to enjoy His creation, but also to care for it. When we foster and value creativity—our creativity and God’s–we Re-Introduce Jesus.